Shop is bringing ecommerce to the blockchain. Thanks to the ever-growing list of data breaches across retail companies and Facebook’s privacy crisis with data firm Cambridge Analytica, data and privacy issues are at the top of people’s minds both in and out of the retail industry. It’s a looming and necessary concern, especially as the European Union’s General Data Protection Regulation, or GDPR, is set to go into effect in May. While the United States has nothing in place like GDPR (yet), other technologies like blockchain are popping up to give consumers the power to own their data again. Blockchain, as a concept, is a widespread database that holds different but anonymous records. In ecommerce, blockchain can decentralize a consumer database. So, instead of one company knowing every clothing preference of a consumer, it’s spread out on the blockchain, with the consumer owning that information. It’s a use case a company like Shop wants to implement. 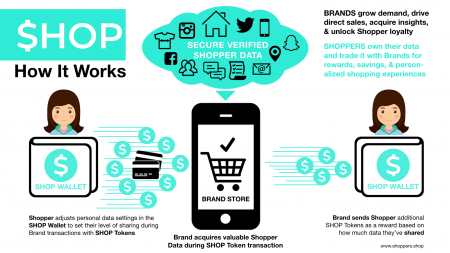 Shop is an ecommerce system built on blockchain that wants to give consumers even more power by giving them control of their data and dictating which brands can use it. 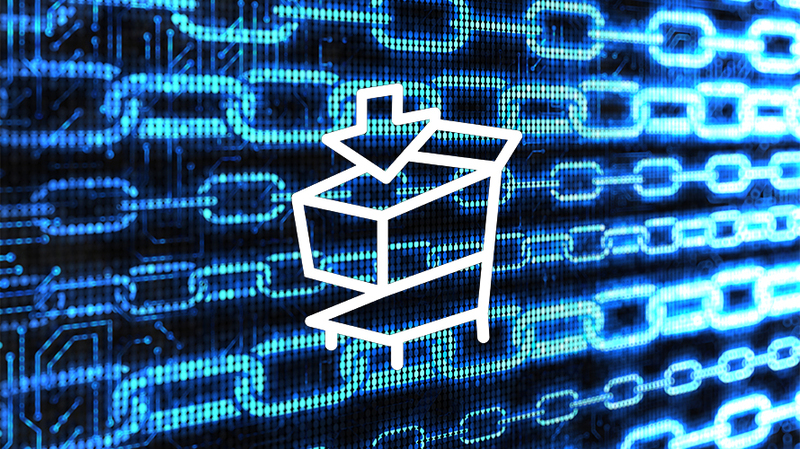 Blockchain in this case decentralizes and creates an anonymous shopping user database in which shoppers and brands can see different data points. With Shop, however, consumers decide how much data about themselves—gender, shoe size, clothing preferences and more—they want to feed into the blockchain. Those consumers then get to decide which brands can access that data in exchange for rewards like discounts or loyalty perks. “We want to court brands and shoppers into adopting a protocol where the data is not centralized—it’s decentralized; it’s owned by them,” said John Wantz, founder and CEO of Shop. The point of Shop is to move away from the centralized format of retail as it exists now, with shopper information and data all organized “by a few tech companies,” particularly with Amazon. From Wantz’s point of view, Amazon’s data on its users lets the company dictate what products to suggest to users and use that information to create private label brands that thwart other brands from making a dent in the market. 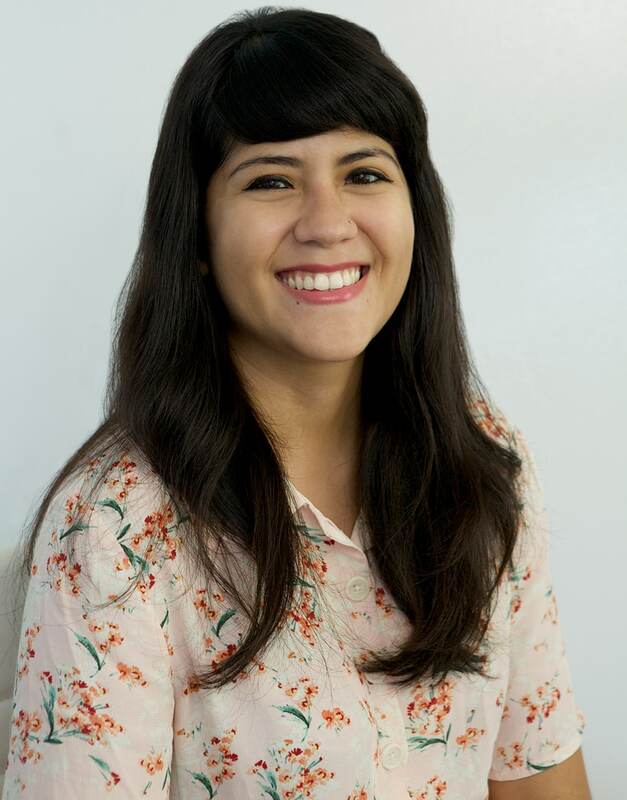 “We think [Shop] is critical for the future of retail because if a few players like Amazon are able to consume all of our value and all of our information and leverage that against us, they’re doing a great job thus far dictating what products we buy, the frequencies we buy them in, regulating our selection and managing the price against the selection that’s being made to us,” Wantz said. With Shop, consumers create an account that gives them a Shop digital wallet and the option to pay $5 to join the Shop co-op. From there, they can reveal and store certain information about their shopping habits like gender, shoe size, activities they’re interested in, and trade that information for Shop tokens that function as rewards, discounts and in some cases, can be used toward purchases. The concept appears to favor of brands and consumer data, but Mc Kenna Walsh, a strategic advisor at MoreFaster, doesn’t know if this is a solution to an actual problem in the retail industry. “Unless the solution to the problem is inherently a database, you’re just barking up the wrong tree,” Walsh said. Blockchain isn’t necessarily GDPR-compliant either, since data on the blockchain can’t be deleted. Wantz, however, said Shop is working toward conforming to GDPR standards and that as the company works now, all of the data is owned by the shopper and is encrypted. Shop is planning on minting 1 billion of its tokens on May 14, with any credit in the digital wallet converting to a token balance on that date. The “minting” process is simply a token-generating smart contract (a code that runs on blockchain), that keeps a record of the tokens. Shop plans on working with an independent auditing firm to assure buyers the minting process is correct. By ensuring 450 million tokens go to brands, these yet-to-be-named companies can give them to shoppers, who get to decide how much information they want to give the brand. The idea is that brands can then take these tokens further by finding customers who fit a profile and giving them discounts and rewards to keep shopping with them. Wantz wants to take the brand-consumer relationship even further by minting 100 million company-specific tokens. That way, brands could in theory create their own branded tokens that only work with their shops and give them to consumers with data that’s valuable to the company. For now, the data consumers will give to the blockchain remains a bit of a mystery. Wantz said consumers will store “basic personal information” about themselves as well “passive data,” such as the history of the sites they’ve visited, translation history and other information, which will be collected and stored for Shoppers in the wallet. The point of collecting the “passive data” as consumers browse the internet is to “grow” their value to brands. “[The] more brands we can represent, the more shoppers we can represent, the more leverage we have over these incumbents,” Wantz said.